You love her, and now you wanna put a ring on it! Give her left hand a flash of sparkle with this stunning A. Jaffe platinum semi mount. A. Jaffe specializes in quality engagement rings that are classic, beautiful, and everlasting. Fashioned in luxurious platinum, this A. Jaffe mounting flairs a modern design, featuring 6 princess cut and 2 trapezoid diamonds, 1.58 TDW. (Center stone sold separately.) 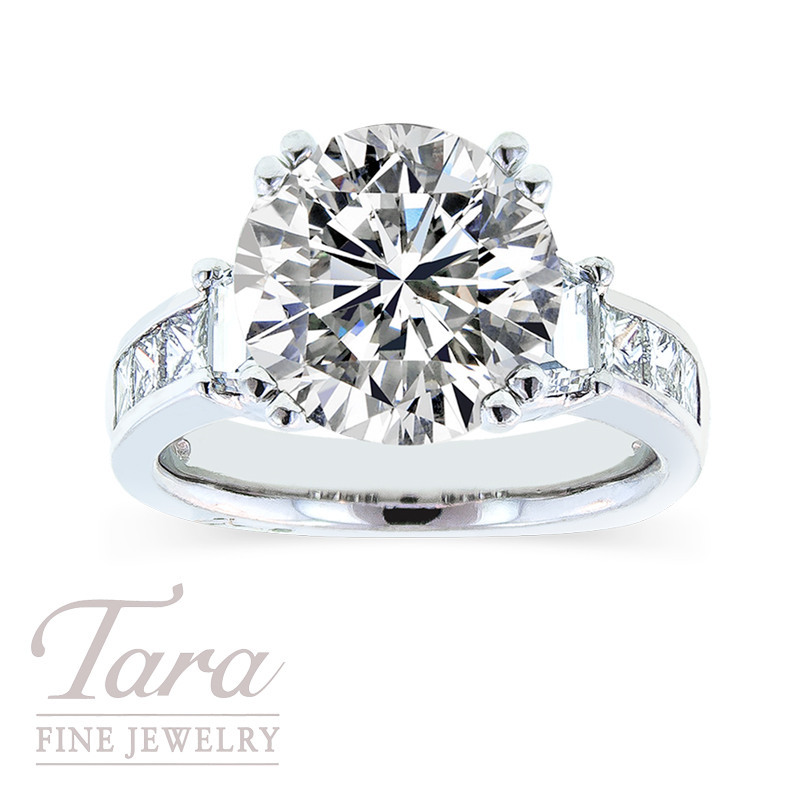 Tara Fine Jewelry, your Atlanta Jeweler, is home to the most beautiful collections in bridal jewelry. Whether it's the timeless designs of Tacori and Forevermark or the extravagant styles of J.B. Star and A. Jaffe, Tara Fine Jewelry Company offers beautiful fine jewelry for every taste and budget. For the highest quality jewelry, selection and service come to Tara Fine Jewelry Company!